These pages were written by Anne Egger (Central Washington University) and Molly Kent (Science Education Resource Center, Carleton College), drawing on discussions and contributions from the 2014 Getting the Most Out of your Introductory Courses workshop. 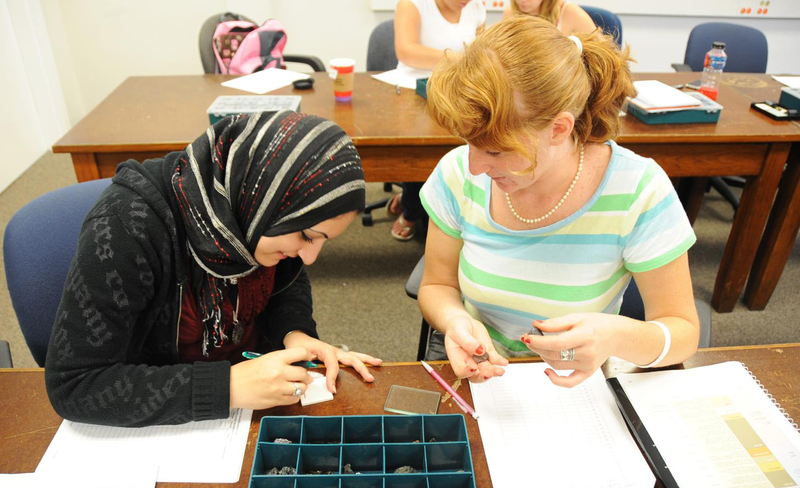 Introductory courses in the geosciences (geology, oceanography, atmospheric science, Earth system science) play a pivotal role in undergraduate education. They serve as recruiting grounds for majors and future professionals, provide critical experiences in geoscience for pre-service teachers, and may be the only course in geoscience that future policy makers, business people, professionals, and citizens ever take. Often, they serve as general education requirements within the institution, where students are expected to learn critical thinking skills in addition to science content. Given all of the important roles that introductory courses play, it is not surprising that faculty and departments often feel very strongly about them. They can be afraid or reluctant to make changes as long as enrollments are high and the rewards are remote. At the same time, however, the importance of these courses suggests that every effort should be made to ensure that they are as effective as possible. The web pages in this section aim to help you get started making changes in a strategic, sustainable way. There are many ways you can design your introductory courses. See what others have done—in geoscience and beyond—to focus their courses on socially-relevant issues, flip their classrooms, scale up, and break down the barriers between lecture and lab, among other things. Strategic thinking starts by analyzing your course(s) in context, including both internal and external influences. The SWOT analysis described here is a simple tool you can use as a team to assess your introductory course for its strengths, weaknesses, opportunities, and threats. Making change happen often requires resources. Internal proposals to deans or other administrators can be a highly effective way to garner not only the funding, but also the institutional resources you need. The Traveling Workshops Program, run by NAGT, brings all the benefits of an On the Cutting Edge workshop directly to you. Choose the course-focused program, a department-level workshop, or a hybrid of the two.